Game of Thrones theme song arranged and performed by cello rock band Break of Reality. Original composition and soundtrack by Ramin Djawadi. A really nice cover of the opening theme for the show, a real nice piece for any Cello lover and fan of the show to have in their collection. 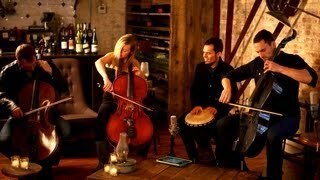 YouTube music video by the band Break of Reality performing a cover of ... "Game of Thrones" gets an awesome cello ... last night's episode of "Game of Thrones".